Software glitch delays thousands of taxpayers from getting their 2012 Income Tax Refunds. The Internal Revenue Service says 660,000 taxpayers will have their refunds delayed by up to six weeks because of a problem with the software they used to file their tax returns. This is a software glitch in some 2012 tax software. The delay affects people claiming education tax credits who filed returns between Feb. 14 and Feb. 22. H&R Block, the tax preparing giant, says that some of its customers were affected but the company has resolved the problem. A limited number of other software companies have also had problems, but IRS spokeswoman Michelle Eldridge declined to name them. Turbo Tax customers were not affected, spokeswoman Julie Miller said. 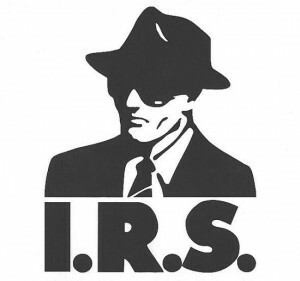 The IRS expects to process about 150 million tax returns from individuals, so less than 1 percent will be affected. About 6.6 million taxpayers are expected to claim the education tax credits. The software problem was on Form 8863, which is used to claim the American Opportunity credit, which provides up to $2,500 to help pay for college expenses, and the Lifetime Learning credit, which provides up to $2,000. The form includes a series of questions. On some of the questions, if the taxpayer answered “no,” the answer was left blank when the form was electronically transmitted to the IRS. H&R Block said the forms were filled out correctly but the answers were dropped when the forms were transmitted to the IRS. The IRS has long had a goal of increasing the number of people who file their tax returns electronically. The agency promises faster refunds for people who file electronically and have their refunds deposited directly into bank accounts. Most taxpayers who file this way can get refunds within 21 days, the agency says. In 2012, nearly 120 million taxpayers electronically filed their federal tax returns with the IRS. That’s about 81 percent of all individual returns. Taxpayers can check the status of their refund on the agency’s “Where’s my refund?” website. The IRS says the status of a refund is only updated once a day, usually at night. Last month, the agency asked taxpayers not to check the website more than once a day because it was being overwhelmed by eager taxpayers. « When should you file 2012 Income Tax Return?